News of the IMME 2018 Treffen also for owners of other Riedel contruction Victoria Swing/Peggy,Ardie,Anlassermotor ,etc. 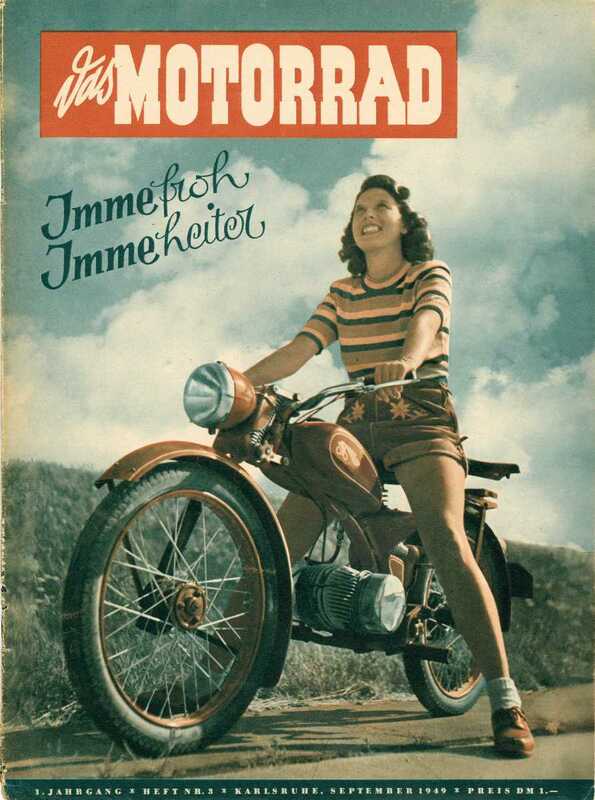 In1948 Riedel found a production factory in IMMESTADT(Bavaria).IMME is a German word for BEE,and the logo and name for the motorcycles were found.Production started in 1949,but only 80 were made in the first year.In 1950 numbers had reached 1,000 a month ,although the motorcycles were selling well! there even plans to make the Imme in London under licence!! the works had some financial and warranty problems and the IMME AG went out of business.The numbers of R100 built was around 12,000 today they are very rare bike in Germany(update December 2014,just seen about 23 running*** look at video, you will notice same riders about 3 times held at a Treffen in October 2014) and only 1 in the UK.Riedel had designed a new egg- shaped twin 150cc engine,plus a scooter named the ‘Till’ and had planned a comeback with an improved version of the IMME.But in 1951 the factory was shut down again. period photo of a garage/dealers for the Imme. http://www.youtube.com/watch?v=nXV4TvHko7E Another video from imme-freundeskreis this one includes bavarian countryside and a attractive frau! !http://youtu.be/HraRjbR1JUQ also another site with some great works photo’s motor pauls site. seen at a German autojumble actual size anlasser! with model of the 262. The above was the early crank design which wasn’t up to the job,late cranks had another web and a bearing. In Germany there 2 clubs devoted to the Imme, http://www.imme-freundeskreis.de(circle of friends) and a club in the town Immestadt called DER IMME SCHWARM e V so the picture above is a swarm of IMME’s. (bees).Note the leader of the pack is riding one of the last versions of the R100 with its separate exhaust system from the frame. Immestadt,is a small town in the southwest of Bavaria set amonst the Bavarian alps.One of the bergs that overlook the hamlet is the ‘Grunten’ the plaque is to commemorate that someone actually rode a IMME to the top of the 1738meter high berg.